All the benefits of Kimono MicroThin AND our silky smooth water based lubricant Aqua Lube, combined into one great condom. Kimono MicroThin Plus Aqua Lube reduces friction and provides a unique slippery feeling. Enjoy the enhanced pleasure and a silky smooth experience. 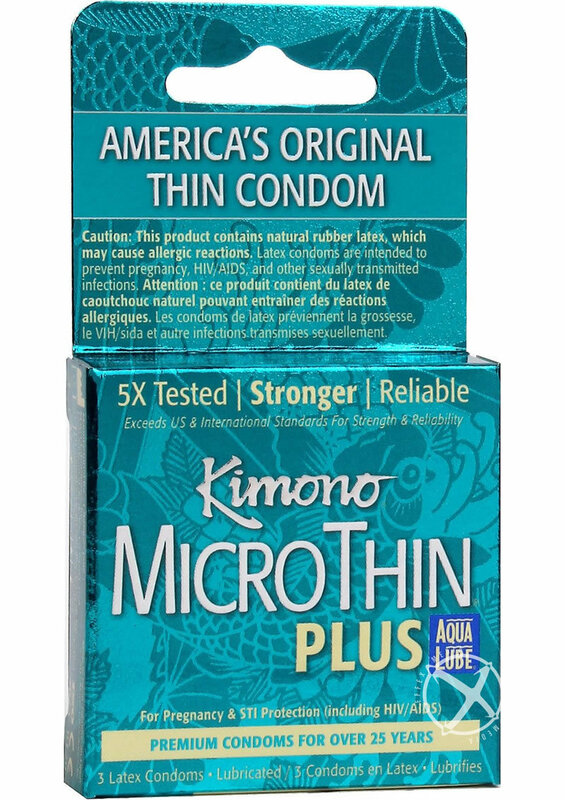 Most condoms are lubricated with silicone lubricants, Kimono MicroThin Plus is one of the few condoms available with a water based lubricant.